Today’s recipe is courtesy of The Baking Chocola Tess. Do you like Apple Fritters? I don’t mean the kind you find in WaWa or any other store bakery. 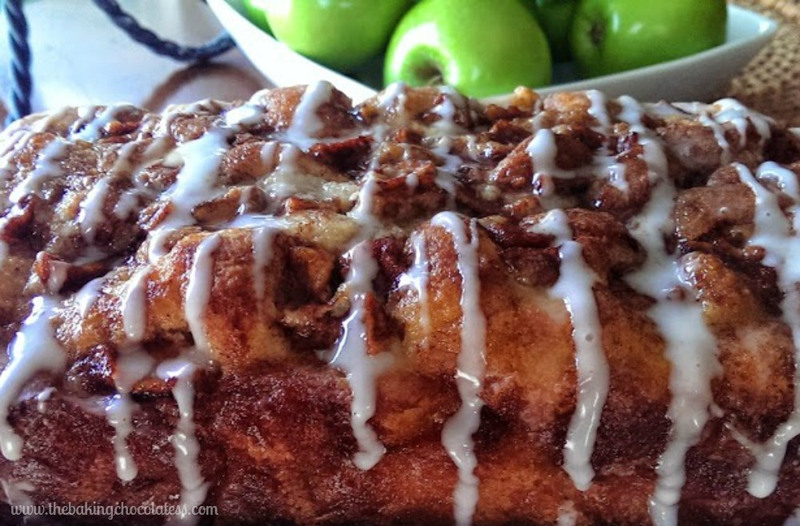 Have you ever had an apple fritter baked into a fluffy, buttery, white cake loaf with chunks of apples and layers of brown sugar and cinnamon swirled inside and on top? I mean the moist, delicious and full of home-made goodness from the heart – just like home kind! I am going to tweak this some so it is gluten free and hopefully it will be just as YUMMY! Preheat oven to 350 degrees. Use a 9×5-inch loaf pan and spray with non-stick spray or line with foil and spray with non-stick spray to get out easily for slicing. So who is ready to make some apple fritter bread? Have a ThirtyOne-derful day! ‹ PreviousTime Management – Does it Exist? Next ›Weight Loss Myths BUSTED!